Trina Dykstra-MacPherson - skatemorrisburgs jimdo page! 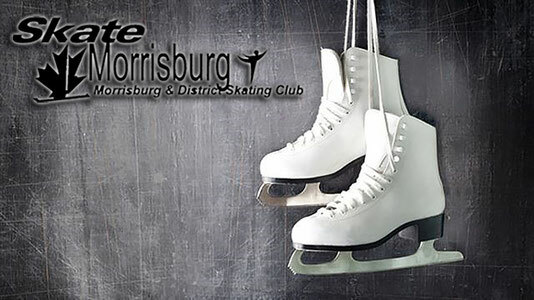 I started skating at the age of 7, at the Morrisburg & District Skating Club. I am currently a high school student, who attends St.Joseph Catholic Secondary School, and I am entering into Grade 11 this coming school year. I've always had a passion for the sport and I would love to share that with all skaters. I believe, and I know that dedication and determination will help skaters reach their goals, whether it is landing an axel or simply attempting a new element in a program. I have always wanted to be a teacher when I was growing up, and I think I finally know what subject I wanted to teach: Figure Skating. I cannot wait to help skaters accomplish their goals and strive for new ones. I am considerably young for coaching, and I have yet a lot to learn, but I am excited to gain experience and create new bonds with everyone. I look forward to this upcoming skating season and all the successes it will bring for all the skaters of MDSC! Figure skating is a tough sport that requires a lot of time, money, dedication and determination, but I believe that it is worth it because skaters gain a lot more than just standings and sometimes medals. This sport teaches skaters the skill that you need to work hard for what you want, and that jumps, spins, facial expression, flexibility, and many more things that have to do with skating, do not come overnight. It is my objective to help guide skaters in the right directions depending on their goals. However, I as well, do expect to learn many things from my skaters. This sport is not easy but if a skater and a coach can collaborate and work together with a positive attitude, I believe that there will be many successes whether they are big or small.